Raw and unprepared shrimp can often require quite a bit of work, with the peeling and the deveining that needs to happen. Here though, we’ll go for pre-cooked wild shrimp to keep this recipe quick to prepare as a last minute appetizer. Using pre-cooked frozen shrimp doesn’t change the final flavors or nutritional profile, as long as you avoid the farmed variety. We went for the simple route for the crabmeat as well by opting for the canned wild caught variety. The most involved part of this recipe is actually is preparing the mayonnaise. As we saw though in the mayonnaise, revisited post, making your own mayo doesn’t have to be a strenuous culinary exercise and the result is quite rewarding and tasty. 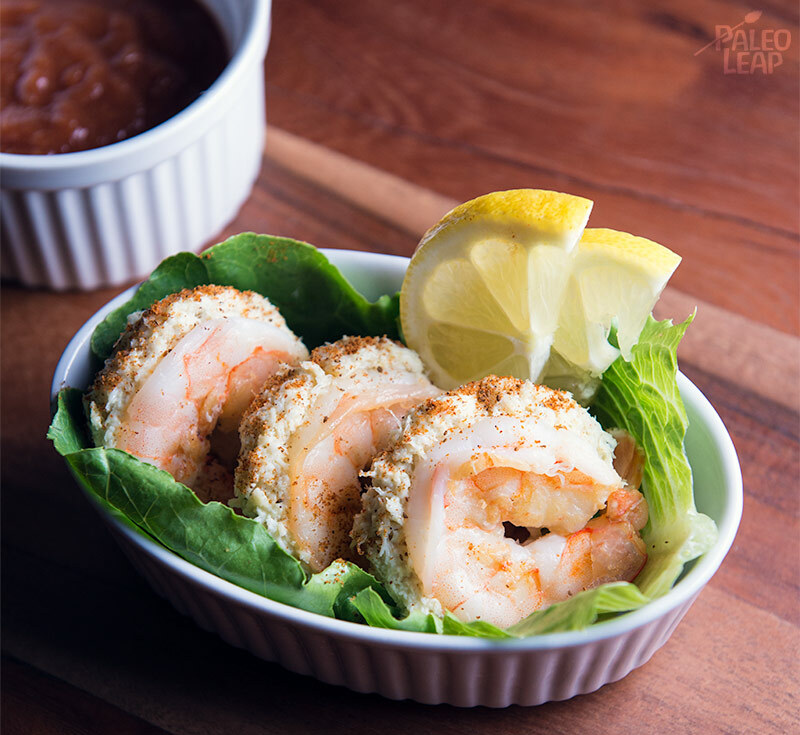 Serve the final shrimp appetizers on top of lettuce with lemon wedges and cocktail sauce on the side and you’ll surely please and impress your guests. SERVES: 5-6 PREP: 25 min.